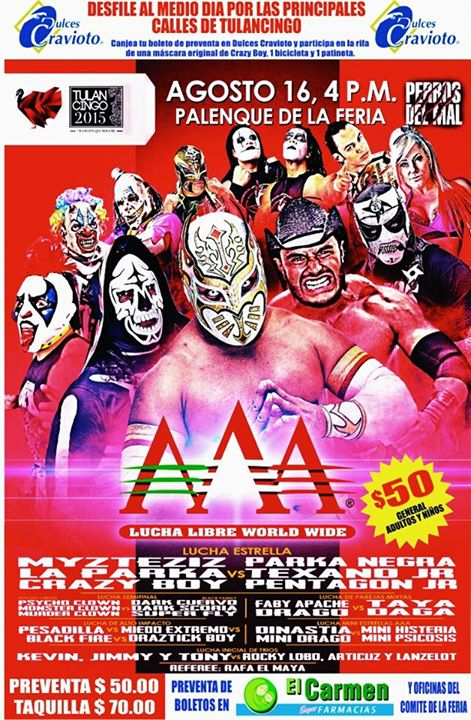 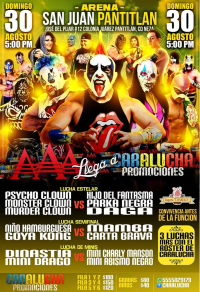 3) La Parka & Myzteziz vs Hijo del Fantasma & Pentagón Jr.
3) Fénix, Myzteziz, Psycho Clown vs Averno, Pentagón Jr., Texano Jr.
4) Drago & La Parka vs Parka Negra & Pentagón Jr.
5) Monsther Clown, Murder Clown, Psycho Clown b Cibernético, Mamba, Texano Jr.
6) Fénix, La Parka, Rey Mysterio Jr. b Daga, Hijo del Fantasma, Pentagón Jr.
4) Monsther Clown & Psycho Clown vs Daga & Pentagón Jr.
Mamba ran in for the DQ. 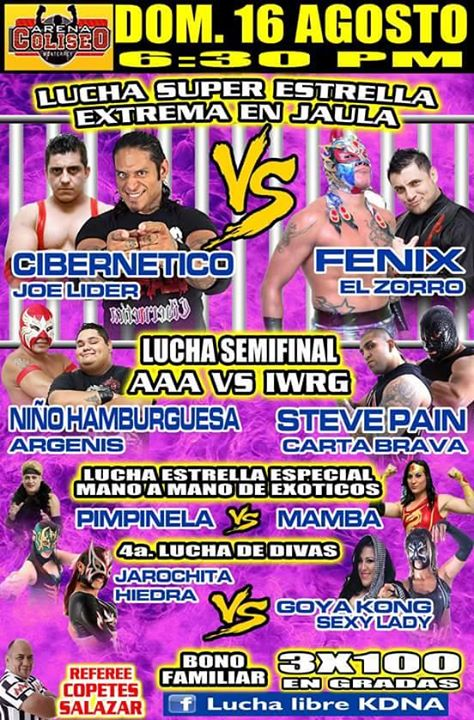 Fenix and Cibernetico escaped, Lider tried to grab Zorro's boot to stop him but his boot came off. 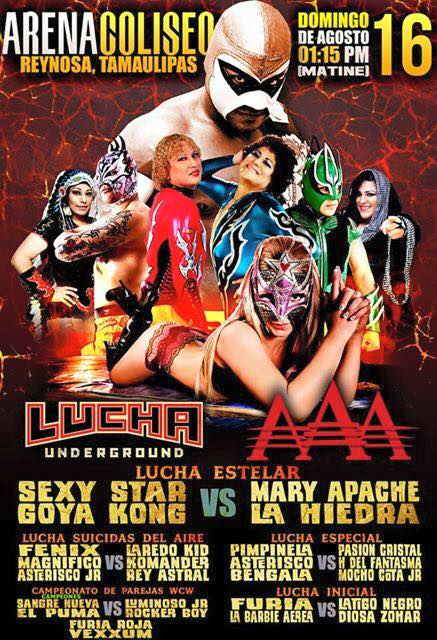 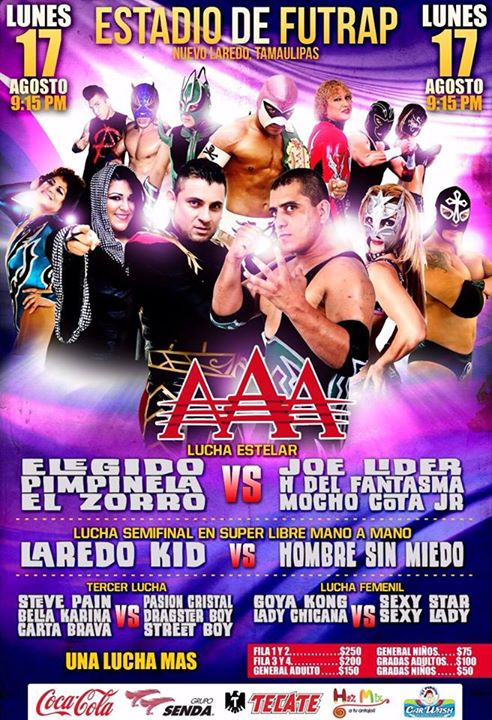 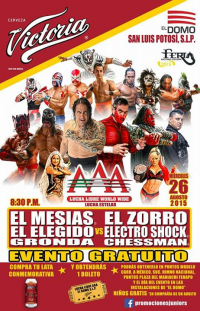 Event Notes: Originally a show promoted around Zorro, Brian Cage and Cibernetico in the main event with Clutch City listed as a self promoted. 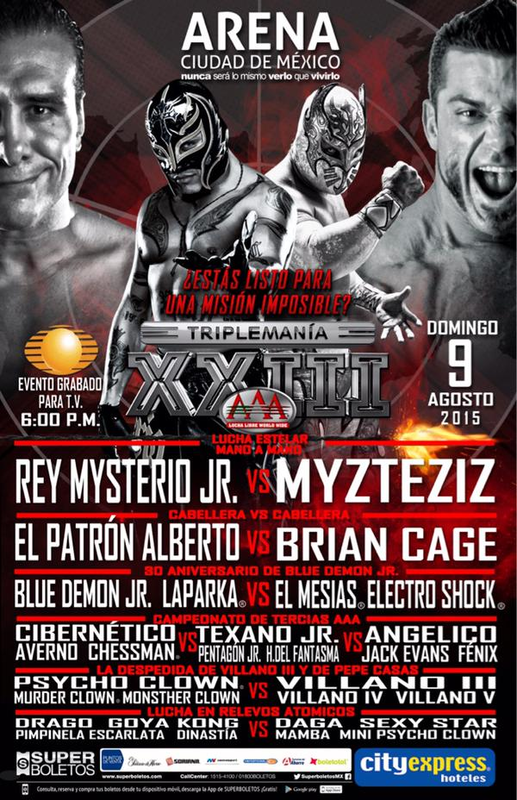 Cage could not wrestle due to leg injury suffered at TripleMania and Clutch City disappeared with him. 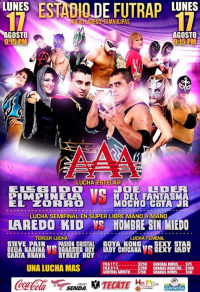 Lider & Nino and a cage match were added as replacements. 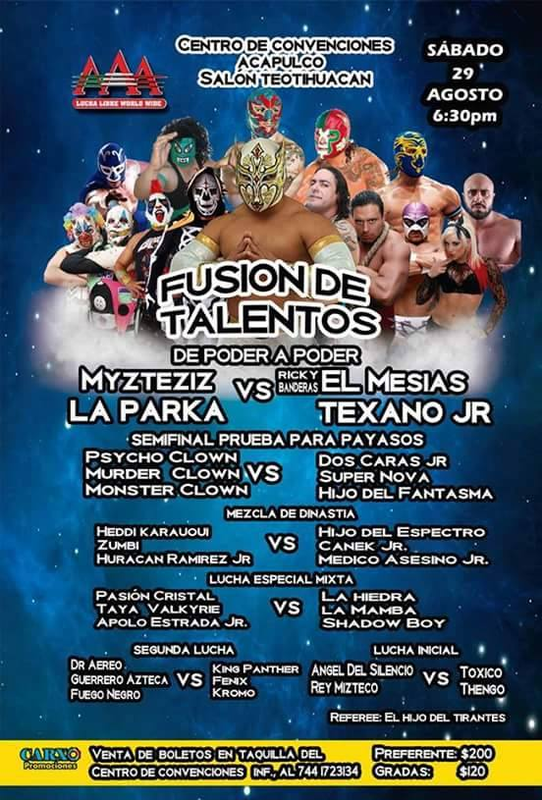 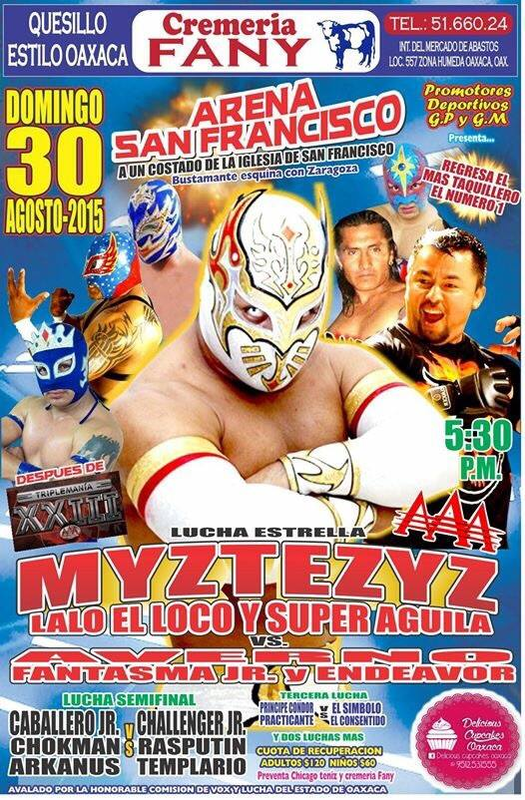 2) Pesadilla vs Miedo Extremo, Black Fire, ? 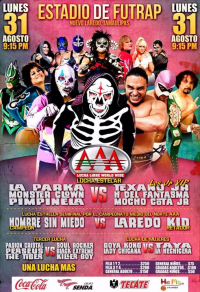 Draztick Boy is listed in the match, but is currently in Japan. 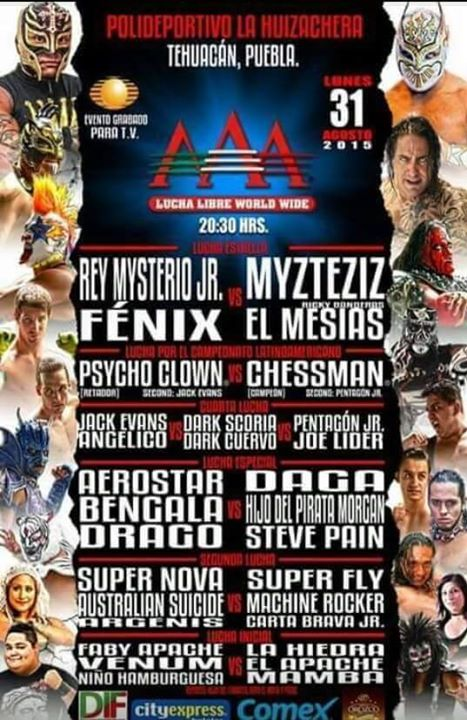 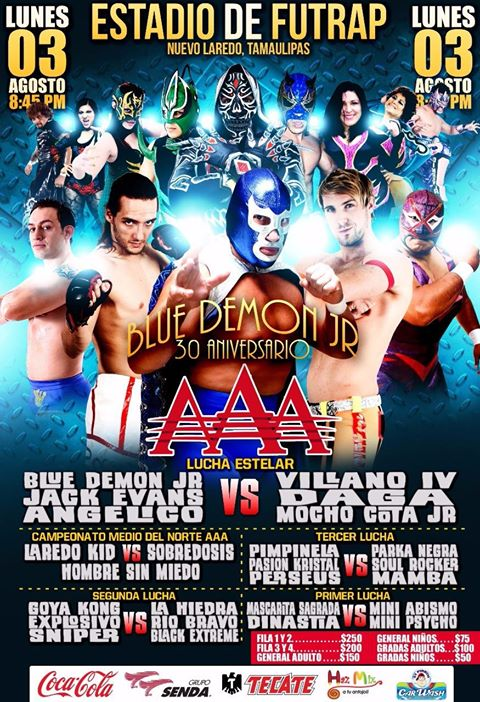 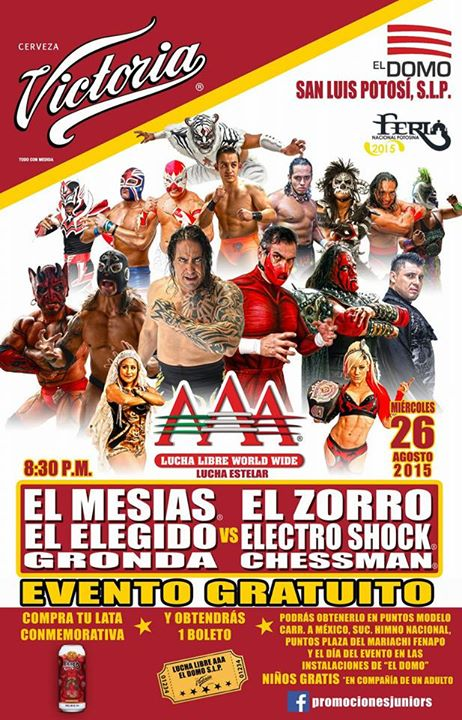 6) Crazy Boy, La Parka, Myzteziz vs Parka Negra, Pentagón Jr., Texano Jr.
3) Drago & Fénix vs Cibernético & Pentagón Jr.
5) El Elegido, Pimpinela Escarlata, Zorro vs Hijo del Fantasma, Joe Lider, Mocho Cota Jr.
3) Drago, La Parka, Myzteziz vs Daga, Parka Negra, Pentagón Jr.
Rayman turned on his partners and unmasked them for the DQ. 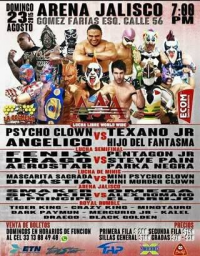 Pain beat Aerostar. 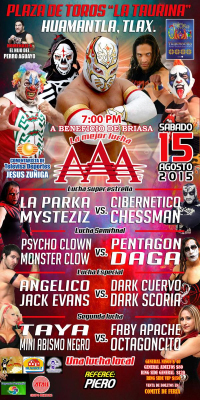 Pentagon & Fenix challenged each other to another match. 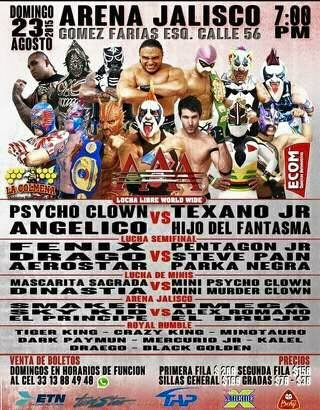 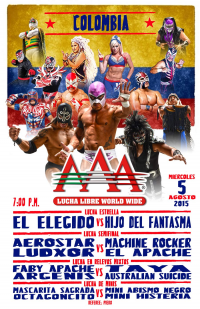 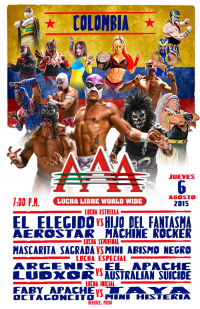 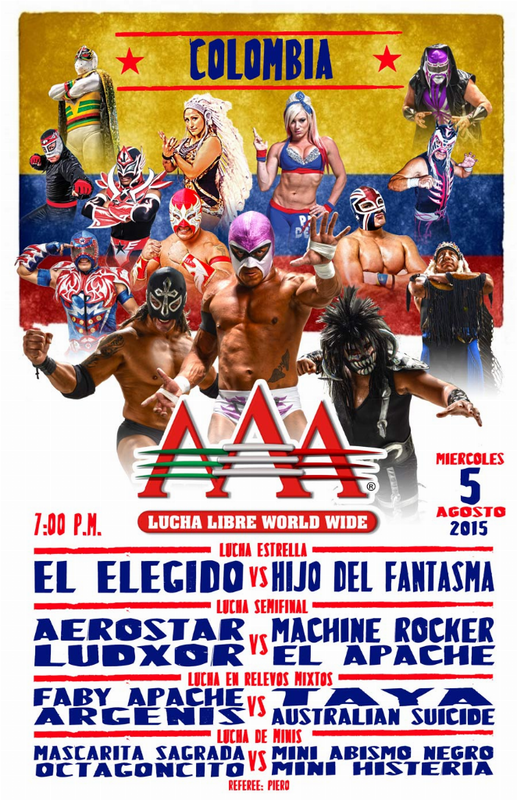 5) Angélico & Psycho Clown b Hijo del Fantasma & Texano Jr. 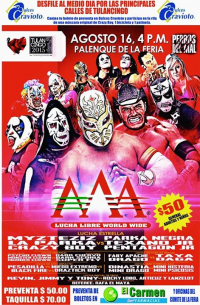 Event Notes: free show. 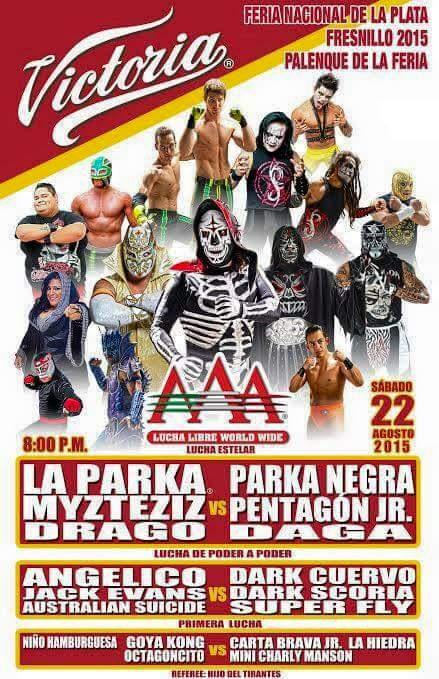 Likely more matches. 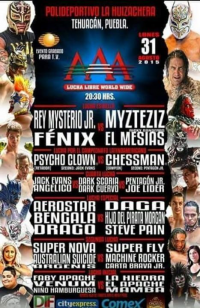 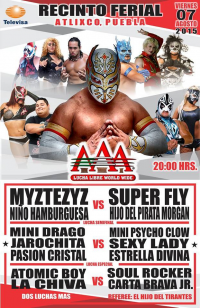 6) La Parka & Myzteziz vs El Mesías & Texano Jr.
3) Lalo El Loco, Myzeziz, Súper Águila vs Averno, Endeavor, Fantasma Jr.
Mascarita Sagrada replaced Mini Drago (bodybuilding competition?) 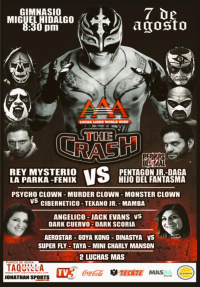 Money thrown in. 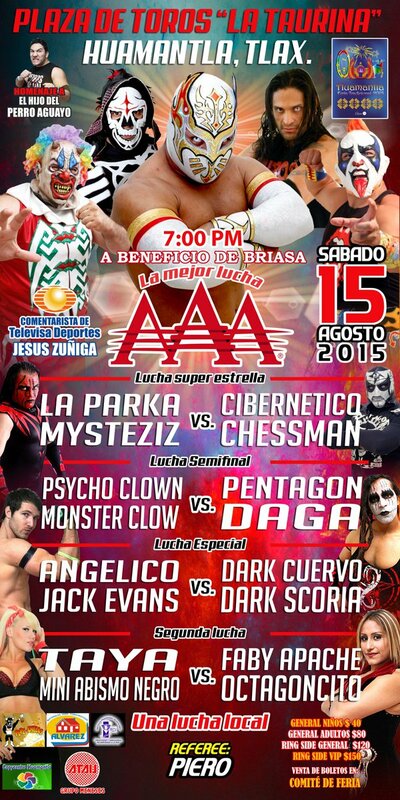 Carta Brava worked twice, replacing Daga (announced as not showing thru no fault of the company.). 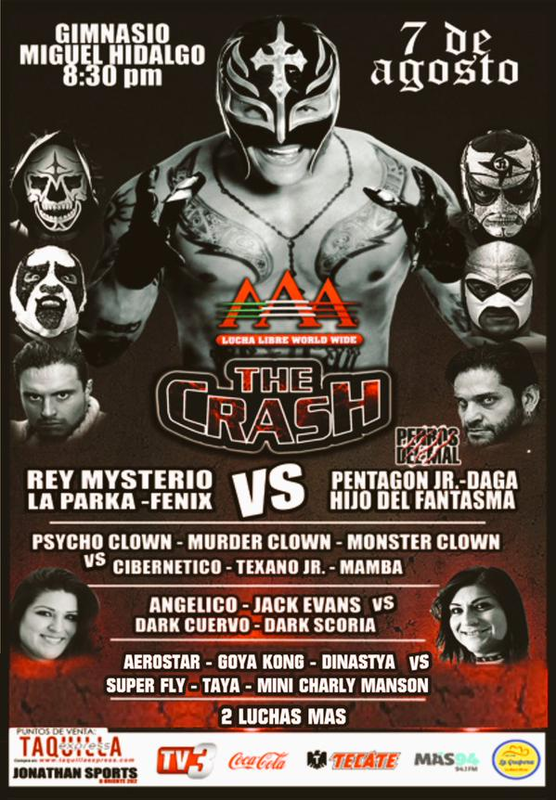 Money thrown in. 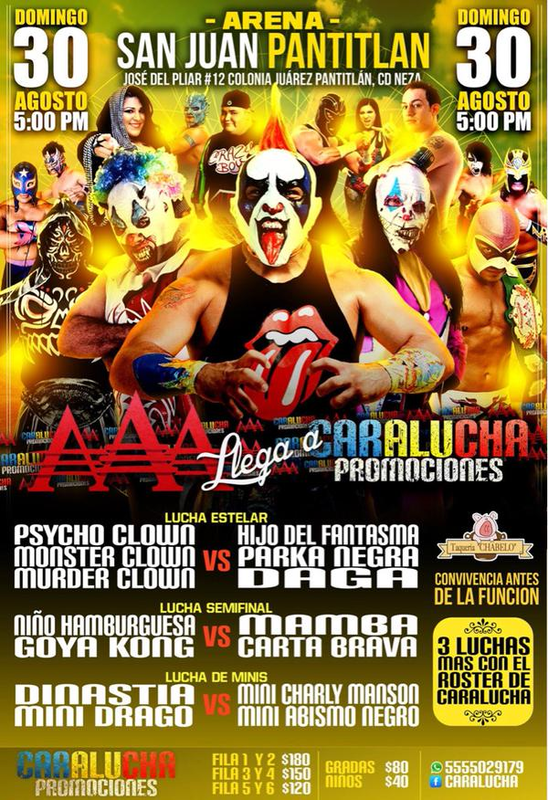 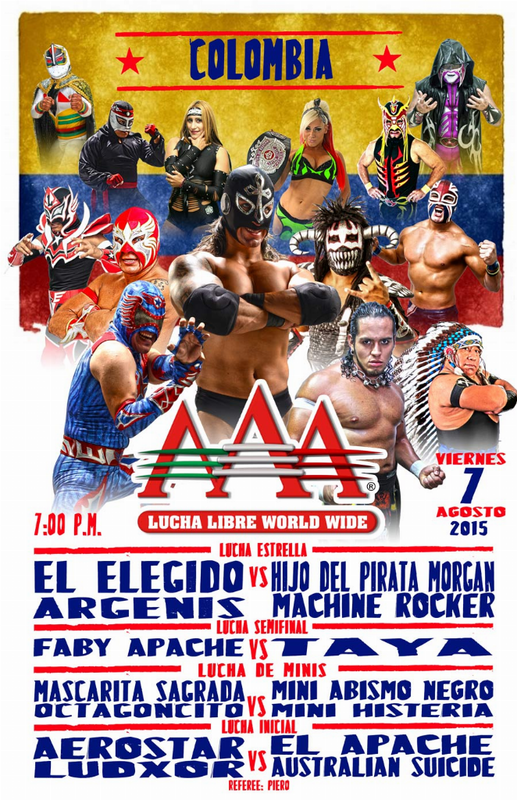 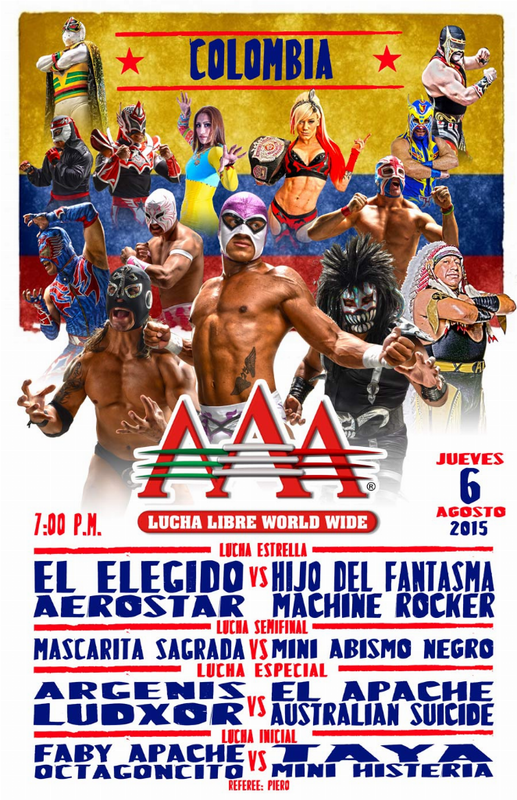 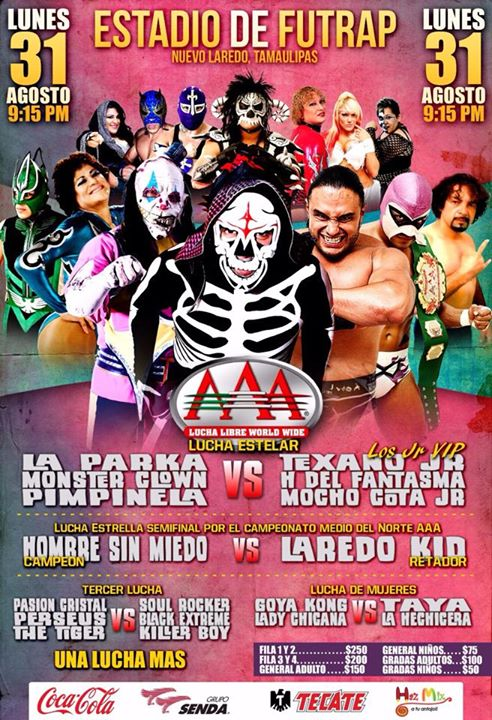 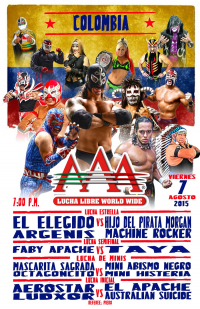 5) La Parka, Monsther Clown, Pimpinela Escarlata vs Hijo del Fantasma, Mocho Cota Jr., Texano Jr.